Every year spent in education adds an average of 11 months to people’s lifespan, say scientists. The researchers say a person loses two months for every kilogram overweight they are – and seven years for smoking a packet of cigarettes a day. Unusually, the Edinburgh university team found their answers by analysing differences in people’s genetic code or DNA. Ultimately they think it will reveal new ways of helping us to live longer. The group used the genetic code of more than 600,000 people who are taking part in a natural, yet massive, experiment. If someone smokes, drinks, dropped out of school and is overweight, it can be difficult to identify the impact of one specific unhealthy behaviour. Instead, the researchers turned to the natural experiment. Some people carry mutations in their DNA that increase appetite or make them more likely to put on weight, so researchers were able to compare those programmed to eat more with those who were not – irrespective of their wider lifestyles. Similar sets of mutations have been linked to how long people spend in education and the enjoyment they get from smoking or drinking. The research team also found specific mutations in human DNA that alter lifespan, reported in the journal Nature Communications. Dr Joshi says these genetic variants are the “tip of the iceberg”. He says around 20% of the variation in lifespans may be inherited, but only 1% of such mutations have yet been found. However, he said that while genetics does influence lifespan, “you’ve got even more influence” through the choices you make. There are also some disease mutations that clearly affect life expectancy, and to devastating effect, such as the Huntington’s gene. People with Huntington’s often die in their 20s. However, in order to follow people until the end of their lives, many of the people studied were born before 1940. Categories: longevity | Tags: education, genes, longevity | Permalink. Trees stretching their canopies over city streets and grass tickling the sidewalk near your home are more than just pretty, they could actually be helping you live longer, a new study suggests. Researchers at the University of New Brunswick used census and tax data to track 1.3 million non-immigrant Canadian adults living in the 30 biggest cities across the country, from Victoria to St. John’s, over 11 years starting in 2001. They measured the amount of greenery from trees, shrubs, grass and other plants within 250 metres (about two blocks) of the study subjects’ homes, using postal codes and satellite data. And they found that as the amount of greenery increased, people’s risk of death decreased “significantly” from natural causes. “There was a lot bigger effect than I think any of us had been expecting,” said Dan Crouse, a health geographer and lead author of the study published this week in the journal The Lancet Planetary Health. Using NASA’s Aqua satellite, the greenery was measured on a scale of 0 to 1. (Zero represented bare ground; 1 was complete coverage by dark green leafy plants.) The study found that each 0.15-point increase in greenness near the subjects’ homes was associated with an eight to 12 per cent decrease in the risk of death. Crouse said the link between greenness and lower death rates remained even after researchers accounted for the effects of air pollution. While previous studies have shown that exposure to green space and parks can improve mental health and in some cases physical health, the researchers say this is the first big study to show a clear link between green surroundings and a lower risk of death. It also suggests that green spaces don’t have to be actual parks in order to have health benefits. “What we’re able to show with this study is really just having trees around where people are living is really important,” Crouse said. The study found that the positive effect of green surroundings was greater for people in middle age than in other age groups. The effect was also greater among those with higher incomes and more education, and among men compared to women. The researchers aren’t sure why. The study also couldn’t tell what kind of greenery was being measured, although trees gave a higher score than grass. Nor could it explain why exposure to greenery had that kind of effect — researchers didn’t know how much access people had to the green spaces or whether they were getting more exercise in greener areas, for example. But Crouse said there are benefits to living near green spaces such as golf courses even for people who don’t use them. Dr. Gillian Booth is a researcher at St. Michael’s Hospital who recently found that people who live in more walkable city neighbourhoods have lower rates of diabetes and obesity. She says the design of Crouse’s study looks sound, and she has used similar techniques in her own work. She added that the results make her wonder what it is about green surroundings that are lowering death rates, and what threshold of greenness is needed to get those health benefits. Categories: longevity, nature | Tags: home, longevity, nature, trees | Permalink. Each step we take reduces the overall risk of premature death, a global study reaffirms. Researchers estimate about one in 12 deaths worldwide would be prevented if everyone exercised at least 30 minutes a day, five days a week. In Thursday’s issue of The Lancet, researchers in 17 countries reported their findings after asking more than 130,000 participants aged 35 to 70 to fill in questionnaires. They were asked about physical activity during leisure time, work, doing household activities and getting to and from work and errands. None of the participants had heart disease when the PURE (Prospective Urban Rural Epidemiologic) study began. A global study shows you don’t need to hit the gym to get physical activity. “Over that seven years either preventing or reducing risk for premature death it’s around 25 per cent reduction, and so that would be death from any cause,” said the study’s lead author Prof. Scott Lear of Simon Fraser University’s Faculty of Health Sciences in Vancouver. During that time, there were 5,334 deaths, including 1,294 from cardiovascular disease. The study’s authors called increasing physical activity a simple, widely applicable, low-cost global strategy to reduce deaths and cardiovascular disease in middle age. Three high-income countries (Canada — Vancouver, Hamilton, Ottawa and Quebec City; Sweden, United Arab Emirates). Seven upper-middle-income countries (Argentina, Brazil, Chile, Poland, Turkey, Malaysia, South Africa). Three lower-middle-income countries (China, Colombia, Iran). Four low-income-countries (Bangladesh, India, Pakistan, Zimbabwe). The World Health Organization recommends that adults aged 18 to 64 years to do at least 150 minutes of moderate-intensity aerobic physical activity throughout the week, as well as muscle strengthening exercises at least two days a week. Nearly three in four in Canada did not meet the guideline and almost a fifth of others in the study didn’t. Almost half worldwide were highly active, clocking 750 minutes a week. The study shows benefits beyond cardiovascular survival, said Dr. David Alter, a cardiologist and senior scientist at Toronto Rehabilitation Institute. “The fitter we are, the more easily oxygen is consumed by our tissues and organs and the less the heart and lungs have to work to compensate to push that blood through, to push that oxygen through,” said Alter, who was not involved in the research. Alter calls exercise a medicine or pill with similar dose and effect as pharmaceuticals. Other studies show the intensity of exercise, in terms of working up a sweat and getting the heart rate up, does matter for survival, he said. Doing less intense types of activity, such as climbing stairs, walking a few blocks at a brisk pace, or sweeping instead of vacuuming, all count too. Just do it for longer, Alter advises. Steps, for instance measured with a pedometer. Exercise time that works up a sweat. Since the study was observational in nature, no cause-and-effect relationships can be drawn. Participants also reported their own activity levels, which is often overestimated. The study was funded by Population Health Research Institute, the Canadian Institutes of Health Research, Heart and Stroke Foundation of Ontario, Ontario SPOR Support Unit, Ontario Ministry of Health and Long-Term Care, AstraZeneca, Sanofi-Aventis, Boehringer Ingelheim, Servier, GSK, Novartis, King Pharma, and national and local organizations in participating countries. 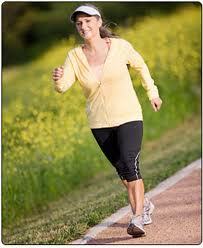 Categories: exercise, longevity | Tags: exercise, longevity | Permalink. Some studies suggest that eye contact must be made for about 8.2 seconds for that “Love At First Sight” feeling to occur. People who generally walk fast tend to live longer. Avocados, raspberries, almonds, broccoli, spinach, salmon are among the healthiest foods on the planet. Telling the truth when tempted to lie can significantly improve your health. Categories: honesty, longevity | Tags: diet, honesty, longevity, love | Permalink.